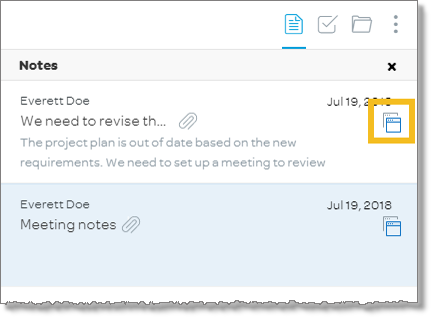 Any change you make to a note, task, or file is saved automatically. 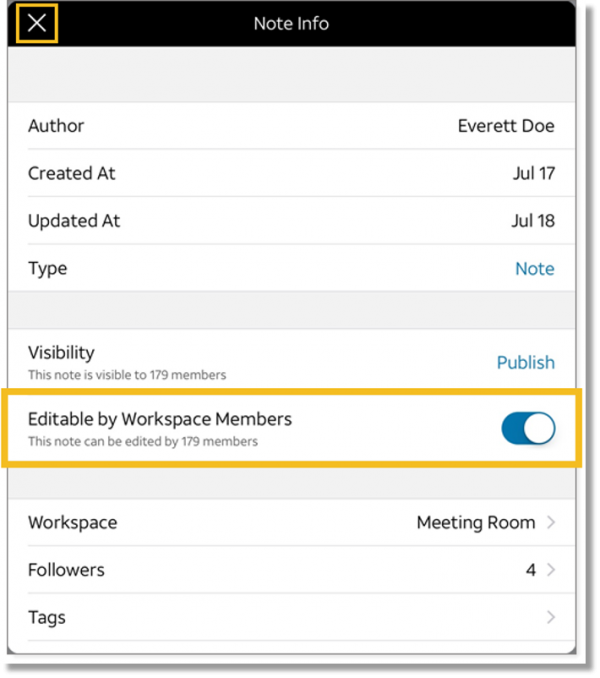 You can also allow other members of a workspace to edit the item. 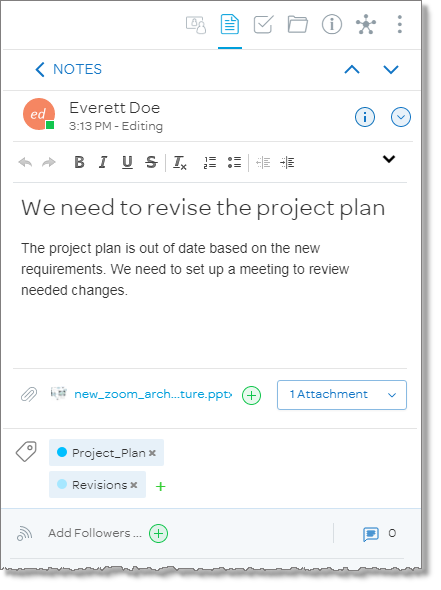 In the panel at the upper-right, click the Notes, Tasks, or Files icon, depending on the type of item you want to edit. An item list appears. Click the item you want to edit. If the item is a task or note, you can also click the icon at the right of the item to open it in a new window. The item opens for editing. 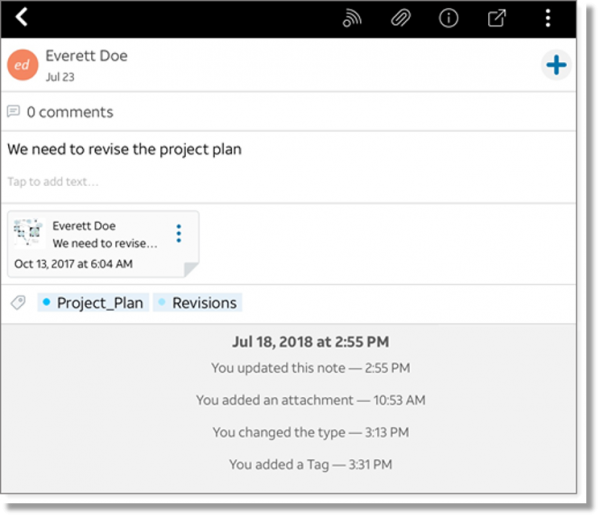 Open the task, note, or file for editing. In the item details tab for the item, click the Actions icon , and then click the Info icon . The Info window appears. 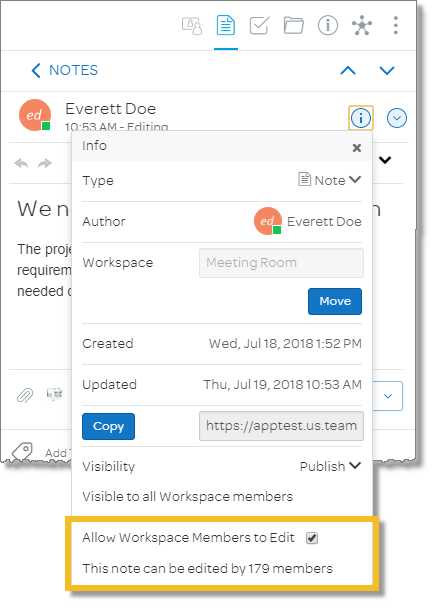 Check Allow Workspace Members to Edit. In the panel at the upper-right, tap the Notes, Tasks, or Files icon, depending on the type of item you want to edit. An item list appears. Tap the item you want to edit. The item opens for editing. In the item details tab for the item, tap the Info icon . In the Info window, set the slider on for Editable by Workspace Members.